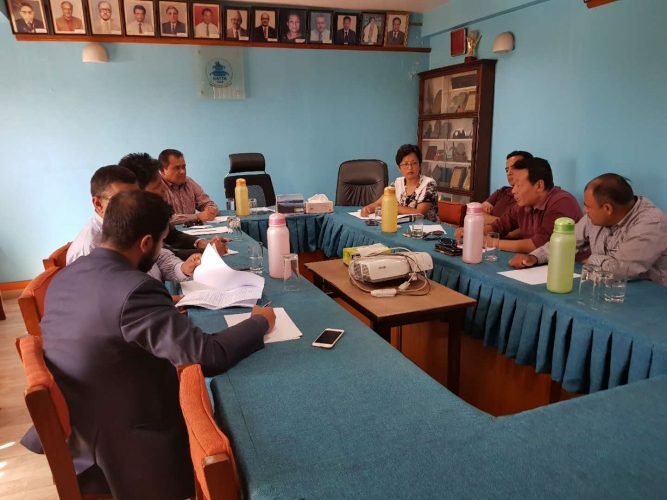 KATHMANDU, May 13: A joint meeting was held with IRL & VAT Committee and Outbound Tour Committee members, chaired by Chairpersons of Committee Mrs. Sangita Jirel Bade and Mr. Shree Ram Pandey on 8th May 2018 at NATTA Secretariat to apprise on the amended Act of VAT and Tax with Committee members. Chairperson of IRL & VAT Committee Mrs. Bade has been participating in meetings of Internal Revenue Department (IRD). The major agenda of this joint meeting was also to incorporate the suggestions from the members in the next meeting of IRD. Also, the committee resolved to continually lobby with Internal Revenue Department in regard to consider on the arising concerns on VAT in benefit of tour operators in the industry.